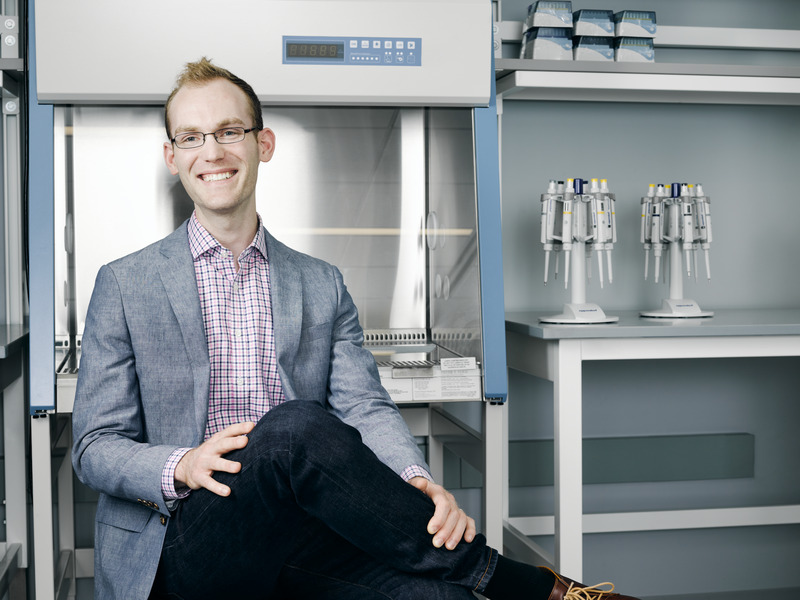 Suono Bio, a company founded by 30-year-old Carl Schoellhammer, just raised its seed funding round in part from MIT’s new venture fund. The startup’s working to deliver drugs using ultrasound technology, with human trials beginning in the next year. A company that’s come up with a way to deliver drugs using ultrasounds just became the first biotech to get funding from MIT’s new $ 170 million venture fund. The seed round of a few million dollars — in which venture fund Polaris also participated — will go toward getting the technology prepped for human trials, which 30-year-old CEO Carl Schoellhammer anticipates will happen within the next 12 months. The investments from the fund, called The Engine, were announced on Tuesday. Ultrasound technology is best known for its use in imaging technology, in which sound waves help doctors get a sense of what’s going on inside the body. But Schoellhammer, along with other researchers coming out of MIT hope to use it differently, as a way to deliver drugs to a specific spot. Here’s how that would work: A device that can emit low-frequency ultrasound is paired up with a drug that’s part of a liquid solution. The ultrasound creates bubbles in a fluid, which then implode and create little jets that put the drug into a particular tissue in the body. “It’s actually physically propelling the drug,” Schoellhammer told Business Insider. “It’s actually pushing the drug directly right to where it needs to go.” And while that might sound intense, the process should be pain-free, he said. Here’s a video on what that looks like. That could be key for therapies that tend to be hard to deliver, such as drugs to treat gastrointestinal diseases where Suono is starting out. Typically, the digestive system is good at breaking down drugs that try to get to a certain point. The only other option is to inject the drug, which means it’s spread around the body instead of localized in the gut. Schoellhammer’s hoping ultrasound drug delivery will be able to be more precise and less invasive. And, ultrasound drug delivery could one day help companies deliver “delicate” therapies made of DNA or RNA, Schoellhammer said. That could be key as more cutting-edge therapies try to find success in clinical trials.